With MIKEL REMAK in Barcelona, Spain. Thanks to ARNAU GALLERY, DIFUSOR BCN AND NAU BOSTIK for everything! Canvas painted for the group show "METTA ZOA" in Boulder, Colorado. USA. Organized by The Boulder Creative Collective. Canvas for HYBRID ART FAIR with ARTEUPARTE gallery. First canvas for HYBRID ART FAIR with ARTEUPARTE gallery. Last mural of the year. Basque Country, Spain. Album design and illustrations for "MADDI" music band. Great band from the Basque Country. 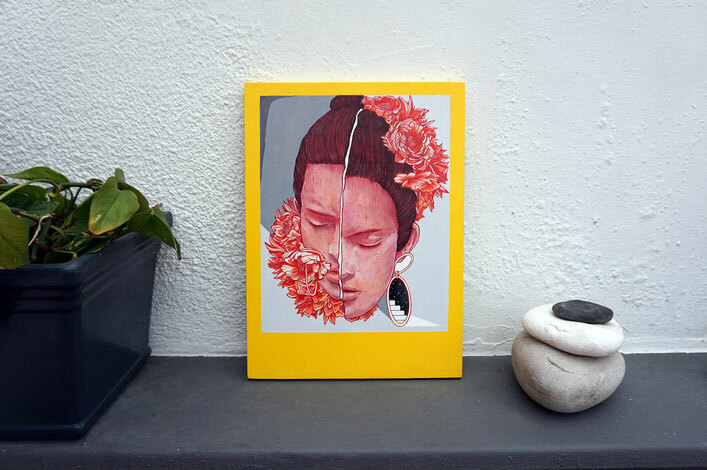 Acrylic paint on wood. 40x60 cms. Available on the SHOP . Wall painted in my hometown. Album cover for The Belladonnas music band. 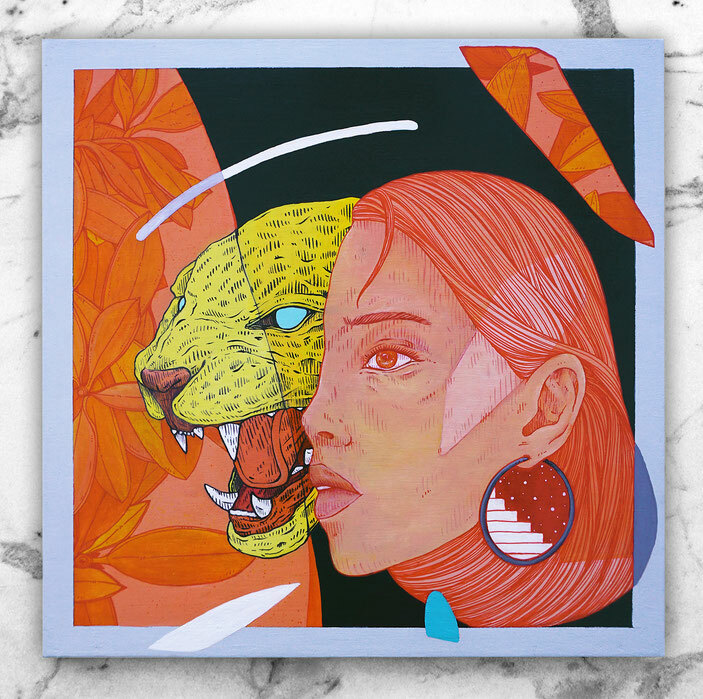 Super happy to create an album cover for another amazing band from Brisbane, Australia. Wall painted with my friend Mikel Remak. Another one with my bro Mikel Remak. Wall painted with my friend Xabier Anunzibai. Big one painted with my friend MIKEL REMAK. Trying to find new things of my work. Great to paint again this amazing bar in Eibar, Basque Country. If you are in town and you want to have the best craft beer, EZDOK is your place. Rock and Roll and Beer! Two days intervention for C.A.L.L.E LAVAPIÉS festival in Madrid, Spain. 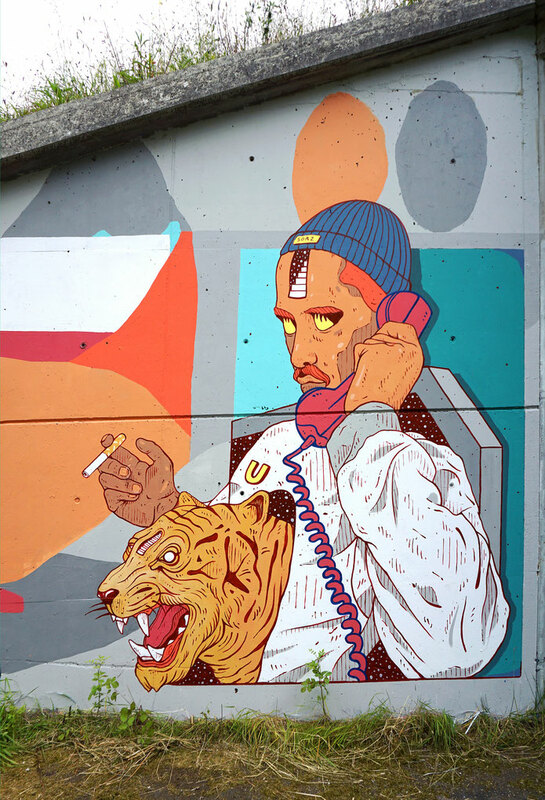 Quick sutter painted for PINTAMALASAÑA Festival in Madrid, Spain. 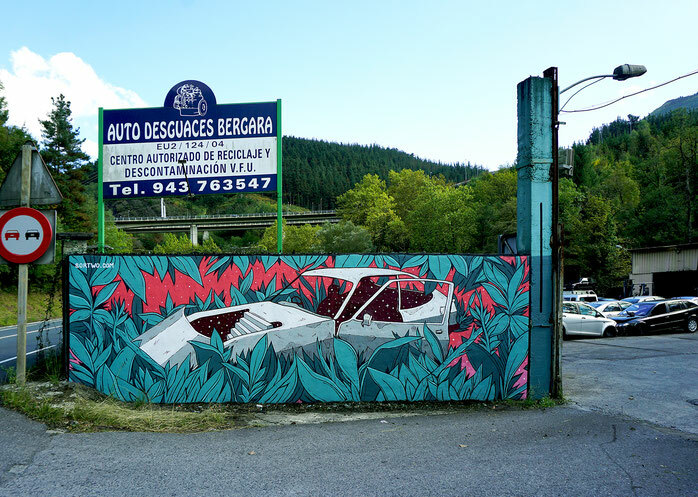 Wall painted on my hometown (Bergara). BITTER PINK. 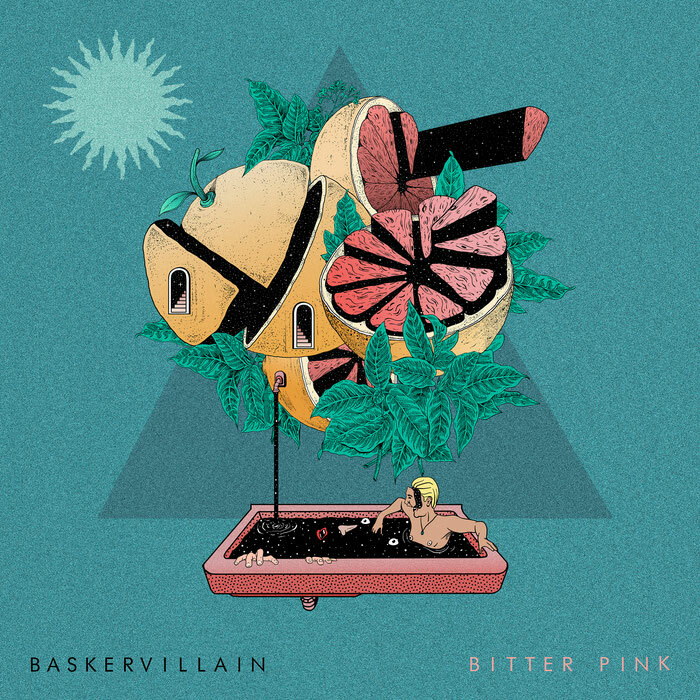 Single cover for Baskervillain band. Super happy to create this cover for this amazing band from Brisbane, Australia. 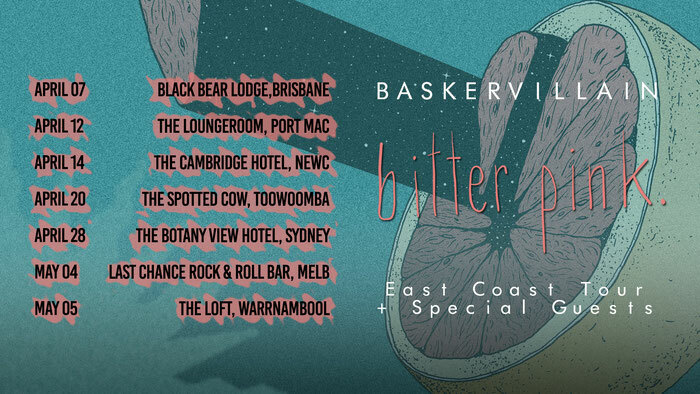 "Baskervillain are quickly becoming one of the country's 'must watch' rock acts. Blending rock'n'roll, blues, soul & psych pop, the guys are producing a genuine classic rock sound that's been invigorated for a new audience." Two pieces we managed to finish during a productive studio session. Currently on display at Kutxakultur as part of his "Bilduma" exposition. Acrylic on wood, methacrylate and sandpaper composition. Digital print on Canson 300gr Cold pressed heavyweight paper. ARTEUPARTE MAGAZINE COVER AND INTERVIEW. 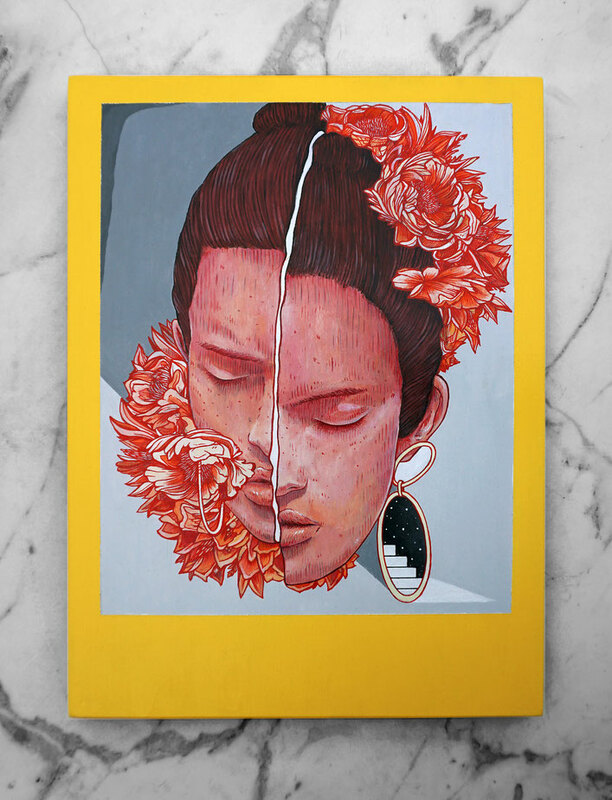 Really happy to work with Arteuparte on their book cover. Fast wall painted during the cold winter. Bergara, Basque Country. Mural pintado durante el frío invierno. Bergara, País Vasco. Nice project in collaboration with Xabier Anunzibai. We painted a truck which is used to accomodate music bands. Mural pintado con Xabier Anunzibai. Pintamos un camión que es usado para hospedar a bandas de música. 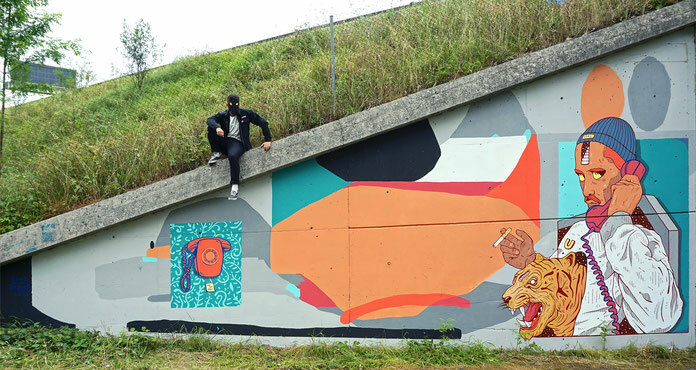 Wall painted for Dabadaba in San Sebastian, Basque Country. Mural pintado para Dabadaba en San Sebastián, País Vasco. Collaboration with my friend Xabier Anunzibai in Beasain, Basque Country. Colaboración con mi amigo Xabier Anunzibai en Beasain, Pais Vasco. Selected to paint a big canvas for Deba city council, Basque Country. Seleccionado para pintar un cuadro de gran formato para el Ayuntamiento de Deba, País Vasco. Selected for Brisbane Street Art Festival to paint a big mural and to have a solo show at "This Must Be The Place" gallery. Brisbane, Australia. Selected as top 5 pieces for ABC news Australia. Article HERE. Seleccionado para participar en Brisbane Street Art Festival y para una exposición individual en "This Must Be The Place" gallery. Brisbane, Australia.